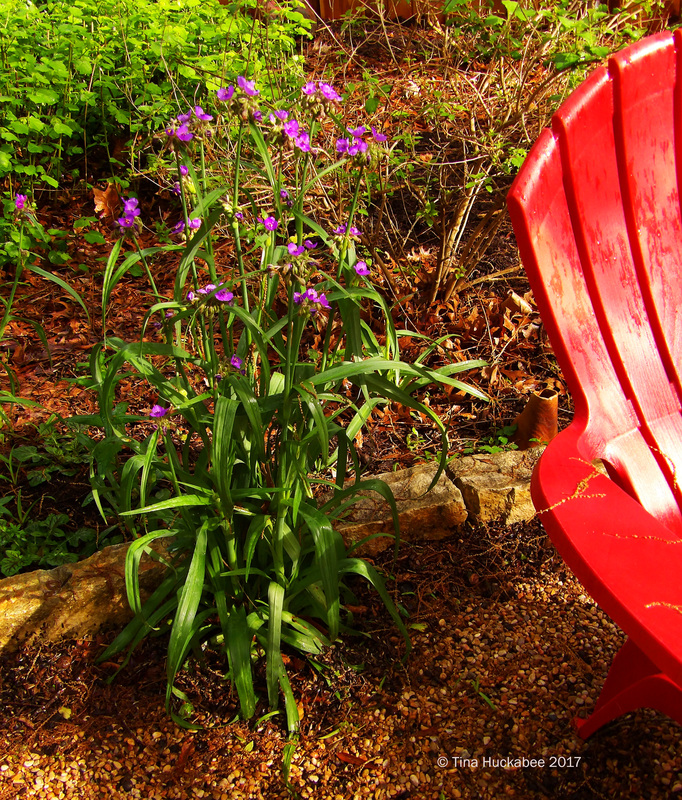 Spring is in the air and you can bet that plant swaps are a big part of spring gardening fever. This Saturday on April 1st, the Hancock Native Plant Swap will once again grace the grounds of Mother’s Cafe and Gardens, at 4215 Duval Street, Austin, 78751. The community event will start at 8am and last until all the plants are swapped! As its promotional information states: In its 5th year, Austin and surrounding area gardeners converge on Mother’s Cafe and Garden, bringing baby plants to share with others. The spirit of this free event is to promote the sharing and use of a variety native plants in our landscapes. Master Gardeners and Habitat Stewards attend and love to help you find plants that will work well in your yard. 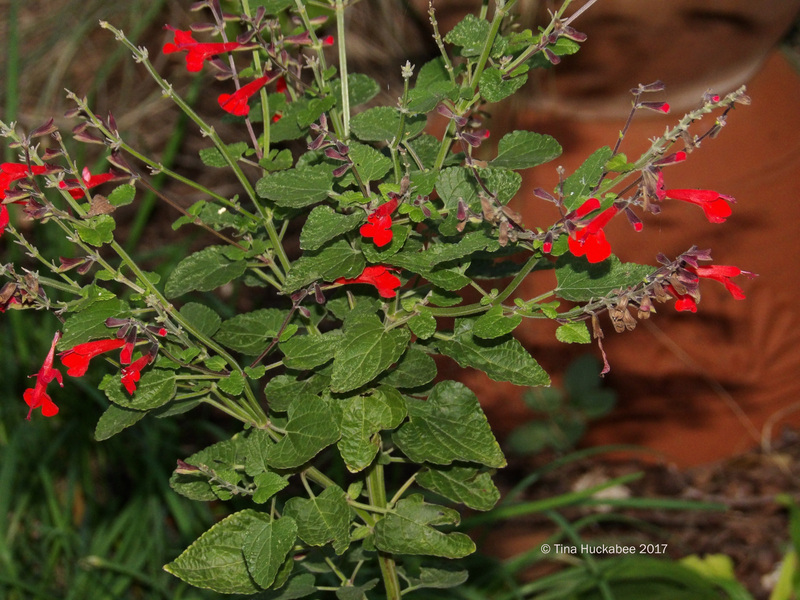 Wondering if a plant in your yard is native or not? Bring a sprig from it and one of the experts will be able to identify it for you. Don’t have any natives? That’s okay, nobody goes home empty-handed! A fun, lively event, but it doesn’t last long, so come early! 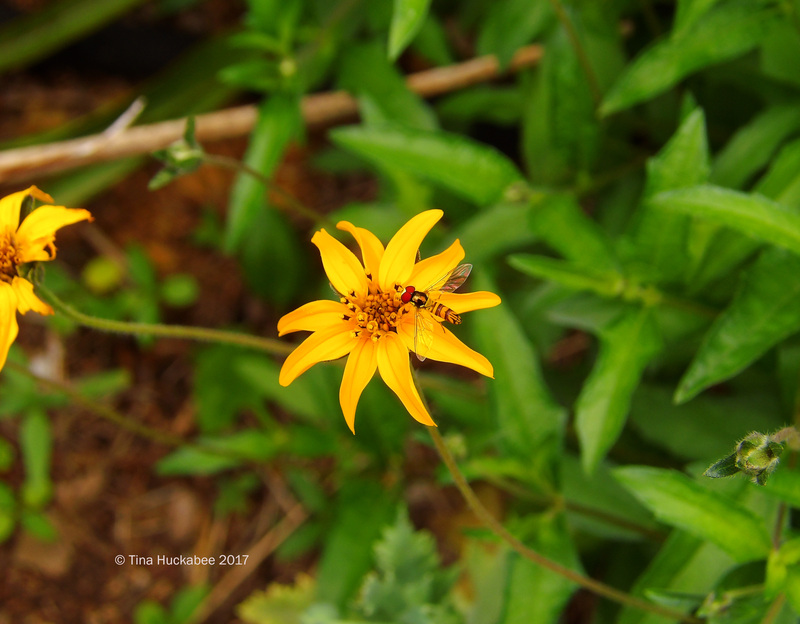 Honeybees and native bees love these flowers. …and/or the red blooming. You never know which color you have until the plant blooms. Surprise! I’ve seen the tiny metallic sweat bees at these brilliant crimson blooms. I have plenty of Giant spiderwort, Tradescantia gigantea to share. 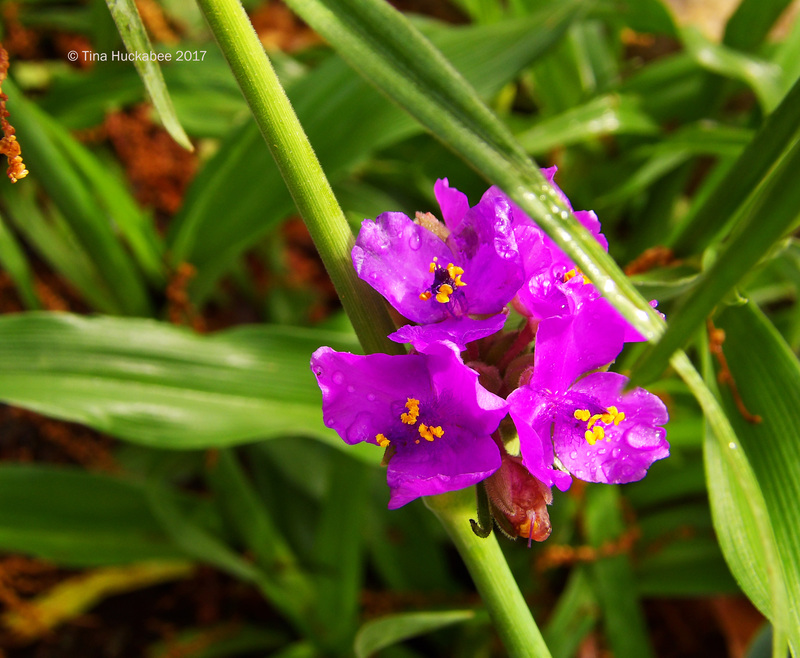 Spiderwort are an early spring bloomer and nectar source. Trust me–I’m glad to dig some up and spread the purple glory! I normally have plenty of seedlings of stately Frostweed, Verbesina virginica. Alas, I only potted up one, but I’ll should have more for the fall swap. 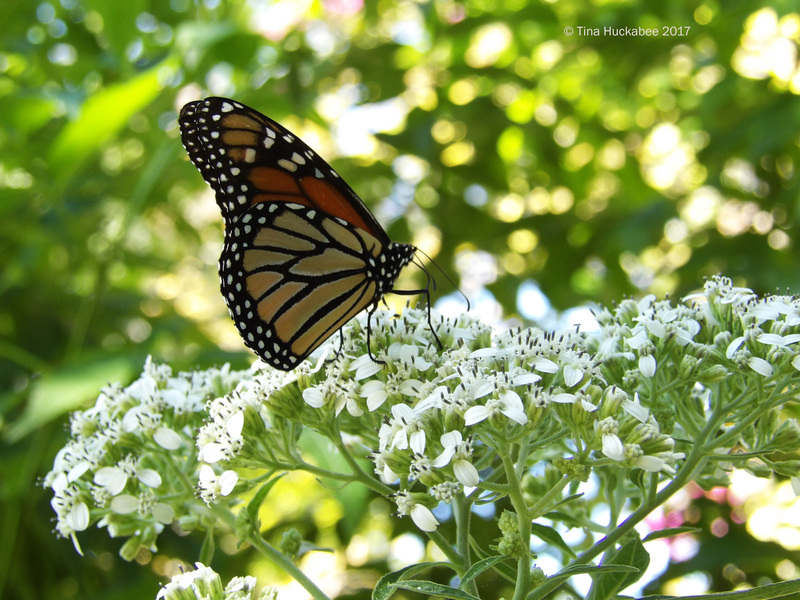 Frostweed blooms in late summer and fall, and is a prized by the southward-migrating Monarch butterfly nectar source. … and stunning blue flowers. Some can be yours, if you come to the swap! Zexmenia, Wedelia texana is a stalwart performer in my garden and I hope the ones I donated will be so for whomever takes them home to their gardens. Plant swaps are fun! Plant swaps are community events! 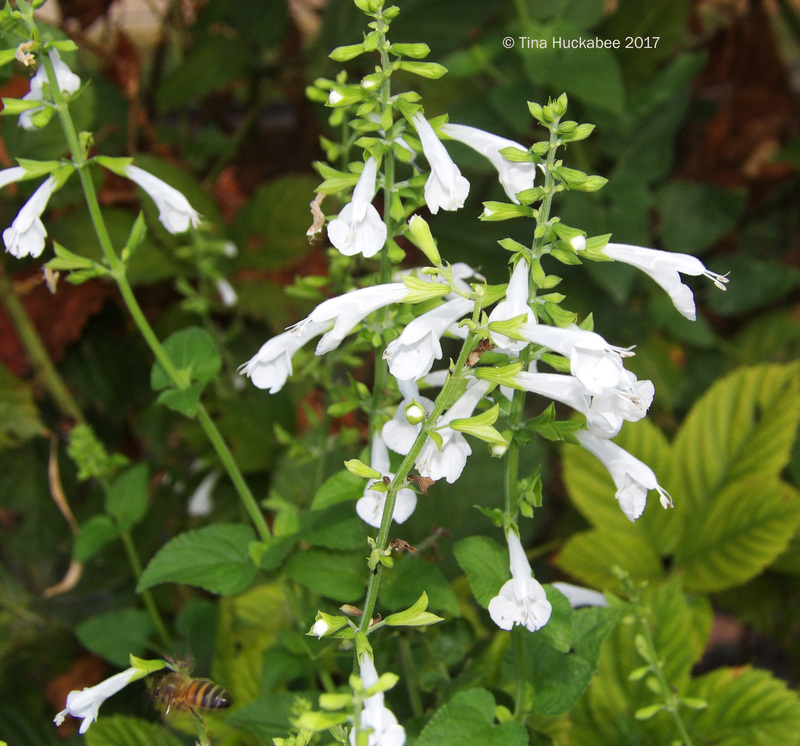 Plant swaps encourage plant-geekiness and enables gardening addictions–and those are good things! 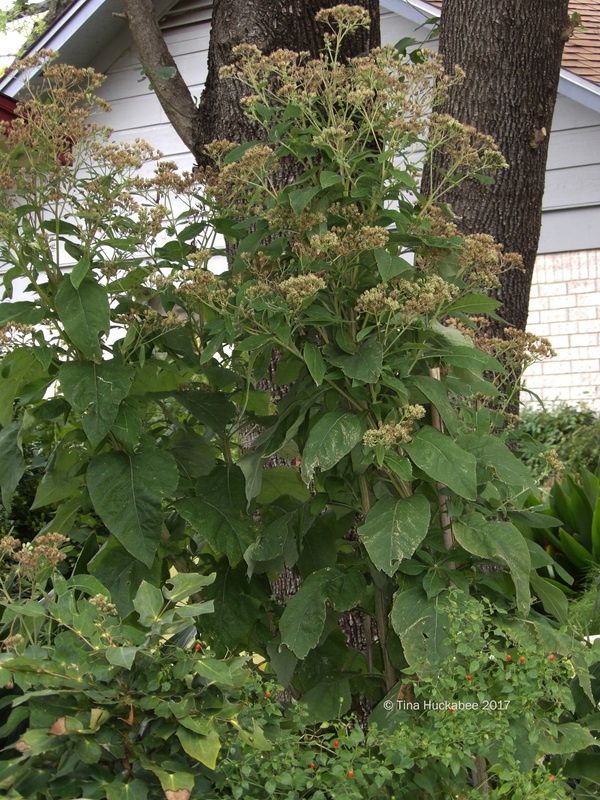 If you live in Austin, check out this biannual plant swap (they’ll be another in the fall). Arrive early–the plants go fast! This entry was posted in Hancock Native Plant Swap, Mother's Cafe and Garden, Texas Spring gardening, Uncategorized by Tina. Bookmark the permalink. I love swaps … Hope that it is a big success! Me too! I think that it’s quite popular, so no worries there! Plant swaps are great. I figure if anyone can dig a plant out of their yard to share, it has to be good. The lyreleaf sage is so pretty. I finally can identify it when I see it. I found some last weekend with stunning foliage. Perhaps because it was in a relatively sunny location, the veins in its leaves were more purple/maroon than I’ve seen, and really attractive. We had a small swap at the last meeting of our new NPSOT chapter, and it went well. We have a plant give-away at every meeting, too — four pots of whatever the plant of the month is. We have some dynamite propagators who are keeping us supplied! You’re correct that the lyreleafs in more sun seem to display that dark veining more–I think it’s so pretty. It’s great to have friends and associates who are gifted propagators–nothing like free plants! Tina happy exchange the Texas native plant! Even if you do not go in person the flowers you are going to donate are very pretty. It is a beautiful act. 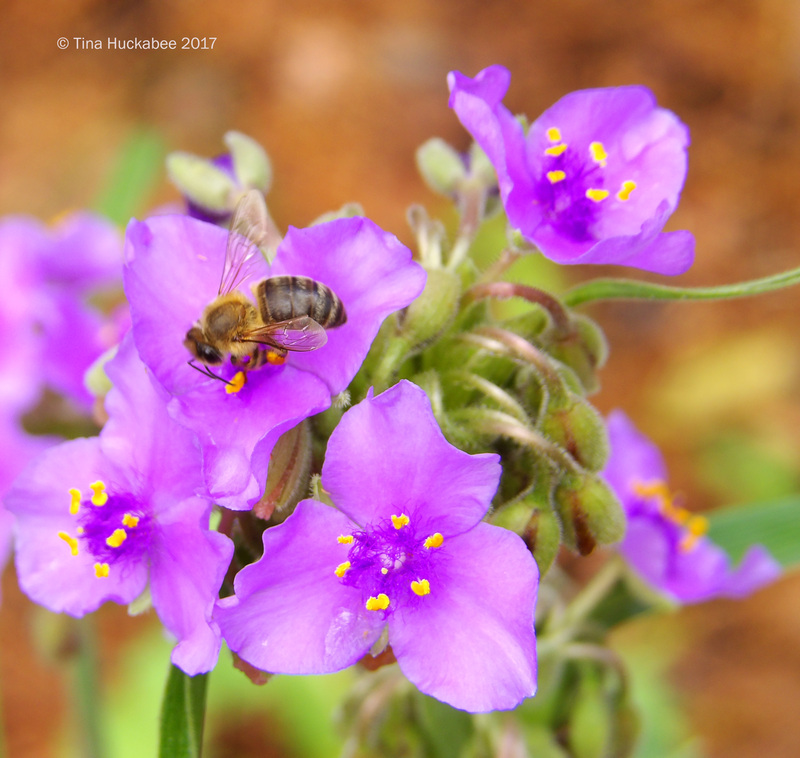 The flower I like most is the giant Spiderwort with its lilac-purple flower. The photos are wonderful. If I lived in Texas I would go but from Spain it is a bit far! Greetings from Margarita. Yes, I think Spain is a too far for you to come for the plant swap, but maybe someday you can visit Texas, Margarita and I can visit Spain! Sounds like a great event. I should look for something similar up here. The Lyreleaf Sage is new to me – very appealing. I’m sure there’s a plant swap somewhere near to you–plant folk are weird that way. The lyreleaf is native to a large area of North America–including your neck of the woods. 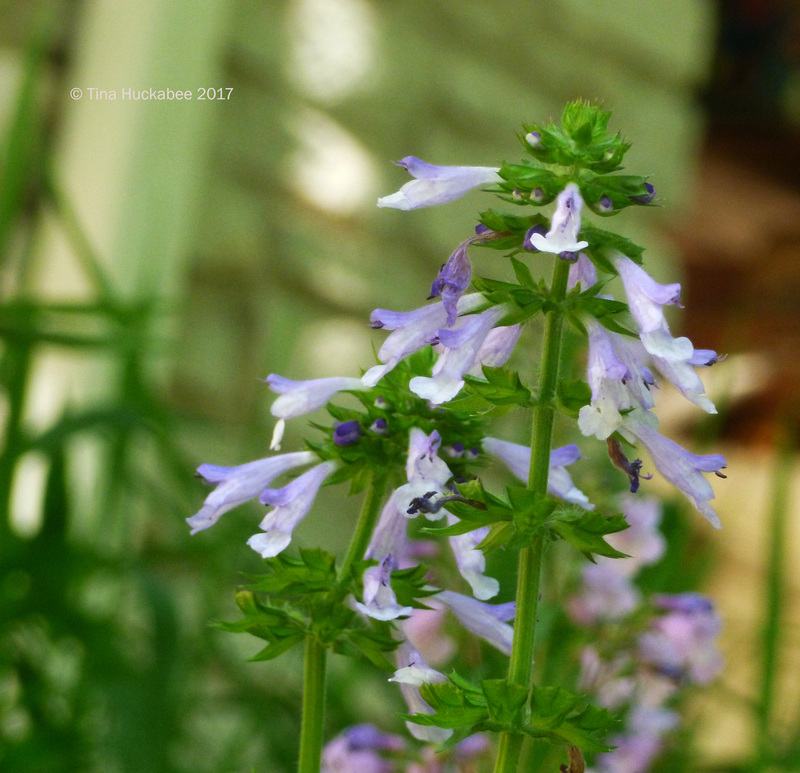 Beautiful blooms, seeds that songbirds like, and lovely foliage–oh, and it seeds out like crazy! A win for the gardener and her/his friends! Frostweed? I have thousands of seedlings if you want some. Haha! No, I have scads too, I just didn’t have any big enough at the time that I potted these plants up. 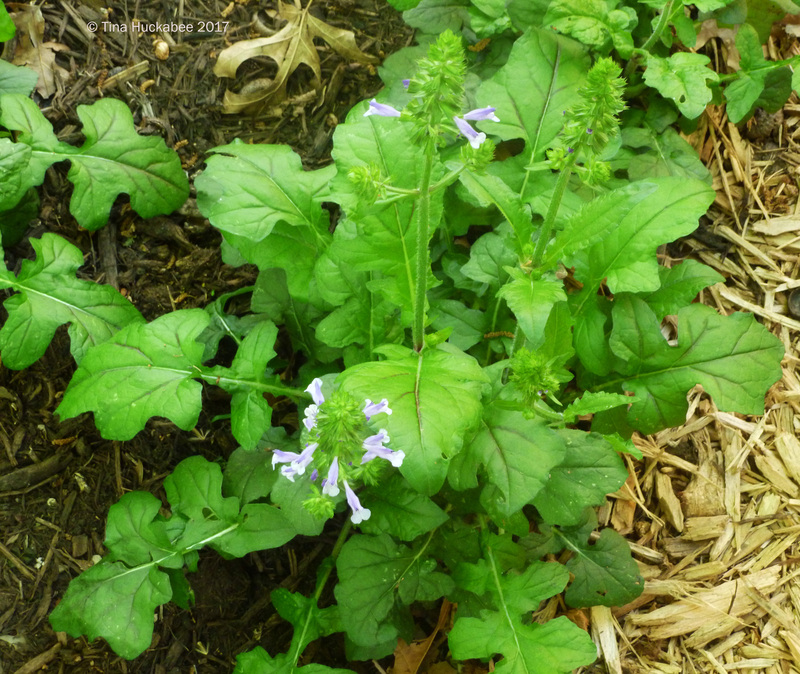 Trust me, the fall plant swap will have frostweed on the menu!